CHEMICAL PINK: WHO ARE THESE PEOPLE? CHEMICAL PINK: THE CHARACTERS, THEIR MOTIVATION, AND DID I JUST MAKE IT UP? The world of physique competition has changed drastically in the last twenty years. Chemical Pink is set in the early 1990’s when female bodybuilding was a relatively new sport. Women were still experimenting with ways to build muscle and change their estrogen-soft figures into densely muscular and finely etched forms. At that time the general consensus was “The bigger, the better.” There were a lot of mistakes made, a lot of women suffered as a result of reckless experimentation with steroids, growth hormone, insulin, and other body enhancing drugs. Today the sports of female bodybuilding/physique/fitness/figure are much more sophisticated. Lessons have been learned about what does and does not work. What is good for men is not necessarily right for women. 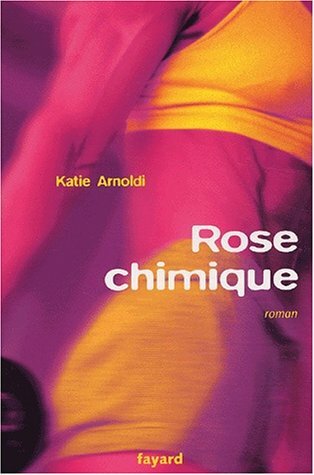 Chemical Pink is essentially a Pygmalion story set in the world of women’s bodybuilding. My character Charles Worthington is manipulative and controlling. He has unusual fetishes and strange sexual preferences. He experiments on Aurora Jeanine Johnson with vast quantities of drugs, in an attempt to sculpt her body into his ideal form. Since publishing the novel in 2001 many readers have asked me, “Do people like this actually exist? Could this complicated subculture possibly be real? Or is this whole thing a figment of your twisted imagination?” Those of you familiar with the world of bodybuilding know that versions of my character Charles Worthington can be found in gyms and at contests all over the world. I wasn’t exaggerating. But that solid and grisly truth is still difficult for some people to swallow. Here is Weird Weekends with Louis Theroux, an exploration of bodybuilding and the surrounding fetishes. Theroux is a fantastic guide into the mindset of bodybuilding culture. I think the segment aired on his BBC2 show sometime around October of 2000 but it is as relevant now as it was back then. Maybe even more so. Timeless. Universal. In my opinion this documentary is absolutely fascinating, accurate, and completely fair. I learned a couple of things myself. You will too. It’s all right there. These are real people, not imaginary characters from the back of my mind. Enjoy.